Leonid Meteor Shower. Wonderdome Mobile Planetarium. The traditional November fireworks are just fading away, and we are already due for another November sky light show, an annual Leonid meteor shower! The Leonid meteor shower is a spectacular event, when tens (some years – hundreds and even thousands) of meteors can be seen crossing the night sky every hour. The name of the shower means that the point in the sky from where the meteors seem to be coming from, called the radiant, lies in the constellation of Leo the Lion. Meteor showers happen when the Earth crosses the path of a comet’s tail and the particles of the tail heat up as they fall through the atmosphere. Leonid meteor shower is associated with comet Tempel -Tuttle, or 55P/ Tempel -Tuttle as astronomers call it. What does this name mean? P – stands for periodic comets. These comets take less than 200 years to orbit the Sun. C – stands for non-periodic comets. These comets have only been seen once in history and they might or might not return to Earth in the future. D – stands for the comets that used to be periodic but have not been observed during their recent expected returns. This disappearance can have different reasons. For example the orbit could be miscalculated or another body’s gravity could change it, the comet could fall apart or simply run out of material to vent into space. “55P/ Tempel – Tuttle” is a periodic comet that takes 33.3 years to orbit the Sun. It was independently discovered by two scientists. The German astronomer W. Tempel spotted the comet in Dec 1865 followed by an American astronomer H. Tuttle in Jan 1866. During its “return” in 1865-66 the comet was visible for nearly two months, giving the observers enough time to calculate its trajectory and orbital period – 33.3 years. That is why it came as a big surprise when the comet has not been seen neither in 1899 nor in 1932, the years of its next expected “returns” to the Earth. It was finally spotted again in 1965 (on its third since the discovery approach to the Earth), after the scientists traced the comet’s previous visits back into the past and with the new knowledge recalculated the comet’s trajectory! 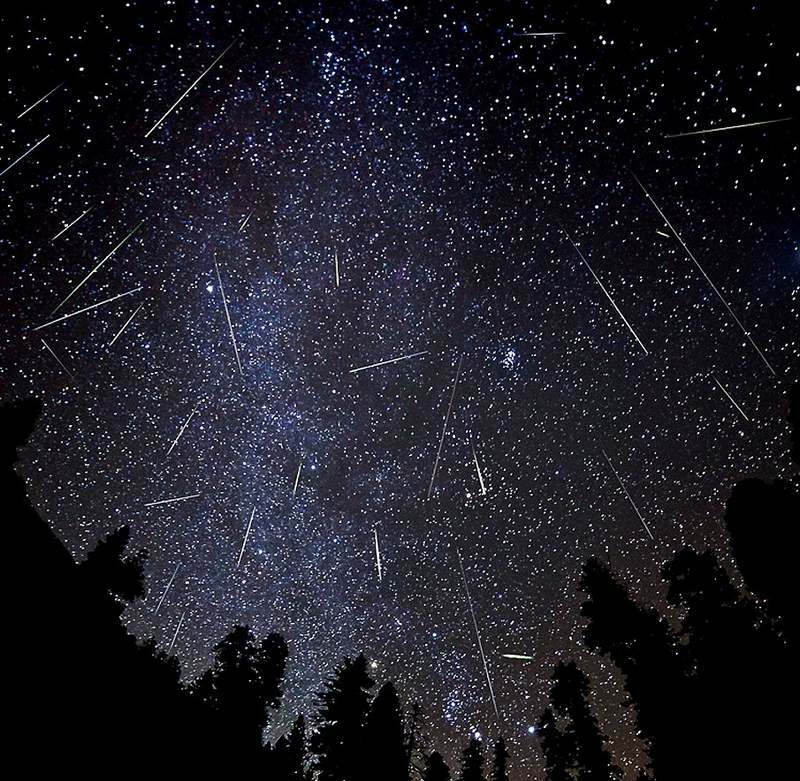 The Leonids will peak on Friday November 17 – Saturday November 18 when 10-20 meteors per hour rate is expected. The meteors can be seen with the naked eye, so you don’t need a telescope or binoculars! This year the New Moon will take place on November 18 giving us the nearly perfect conditions for observations! The radiant of the shower lies in Leo, but you don’t have to stare at the constellation to see the meteors! In fact, if you train your eyes on Leo you will miss the meteors with longer trails so just keep scanning the sky for shooting stars! (Though by all means do try and spot Leo and other constellations while waiting for meteors – it is a great fun on its own! We love showing our mobile planetarium visitors how to spot the brightest constellations, so it would be a chance for them put their new knowledge to test). The temperature can easily drop below the freezing point in November, so don’t forget your warm clothes, sleeping bag and hot tea! A garden lounger or recliner chair might be a good idea to stay off the ground.